This poem first appeared in Waiting Room (Hill-Stead, 2012). 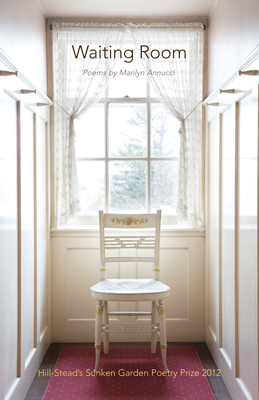 Marilyn Annucci is the author of Waiting Room (Hill-Stead, 2012), which won the 2012 Sunken Garden Poetry Prize, and Luck (Parallel Press, 2000). She is an associate professor at the University of Wisconsin - Whitewater, and enjoys long walks, cooking, and photography. To learn more about Marilyn, visit http://www.madpoetry.org/madpoets/annuccim.html . Although I don't take candy nor sweets this poem makes me want to take a bite. I was practically having a watery mouth while reading it over again. I love those candies too. You might find them in my purse right now. Enjoyed reading your poem again. I'm not a candy lover, but this poem makes me appreciate "such a simple thing" as a butterscotch candy. These made me think of those hard candies wrapped in either orange or black wrappers that were given out to Trick or Treaters by the fistfuls. Love that last couplet, Marilyn! Nicely done. Beautiful imagry. Love the ending, too. love "the bee's bonnet" line.. good and true poem...thanks!